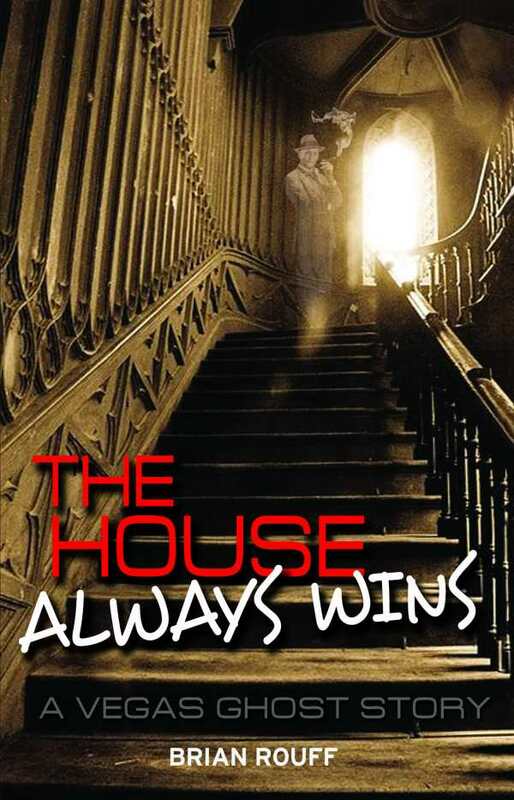 The House Always Wins is an attractive romance with a unique ghostly touch. A ghostly homeowner comes to the aid of a newly married couple in Brian Rouff’s hilarious novel, The House Always Wins. Everything shifts quickly for Michigan journalist Anna Christiansen when her interview with Aaron Eisenberg, the bass player from a rock band, morphs into a whirlwind romance. Within a week, the new lovers head out to Las Vegas and marry. Two months later, Anna discovers she is pregnant. The young couple buys and fixes up an old dilapidated mini-mansion near a casino, unaware that the casino’s plan to expand their parking lot means locals will have to relocate. Anna is at her wits’ end coming up with solutions to fight the lucrative establishment. The last thing she expects is advice from a ghost. Anna is front and center is this memoir-style novel. Since her life experience is limited to Michigan, she’s ready to spread her wings with Aaron. Although she has no idea what to expect in Las Vegas—scorching temperatures, roads, culture—her strong writing skills come in handy, especially in sticky situations, including with Aaron’s job, corresponding with the casino, and researching her ghostly guest. Supporting Anna is a small but animated cast that also functions as foils. Notable characters include Aaron, her ever-engaging Jewish husband; Boozer, Aaron’s freeloading roommate; Chuck, Anna and Aaron’s retired-military neighbor; and Meyer Levin, the old mansion’s ghost. Bob Pykowski, the antagonist who’s determined to follow through with the casino’s plans, is more often talked about than he is present—at least, until the appropriate moment. The plot is riddled with underlying tension as a result. The story covers Anna’s first year away from Michigan, as conveyed to a beloved aunt. The book’s three sections are set mainly in Las Vegas, and are a balanced combination of storytelling and engaging dialogue dotted with Jewish traditions and Yiddish terms. Paragraphs are replete with uproariously sarcastic similes, metaphors, and tongue-in-cheek comments centered on Aaron’s agnosticism, the couple’s interactions with Boozer, and Anna’s covert plans to address various situations, particularly Bob Pykowski’s devious agenda. Narrative hooks, drama, unexpected openings, and cliffhanging chapter endings keep the story flowing. Complicated situations, including confrontations with neighbors and pressure from the casino, build to a significant and unanticipated climax. A fun read from beginning to end, The House Always Wins is an attractive romance with a unique ghostly touch.